A single monkey motif flocked onto a chalky paper, available in three smart colourways. Escape with this furry monkey as it climbs off the walls. Cheeky Monkey is a furry monkey wallpaper design where the flocking in black or white adds a life-like twist. 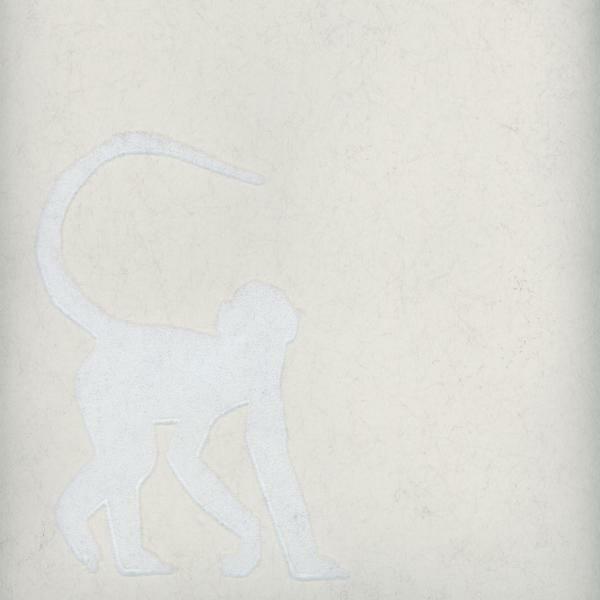 In Ivory, the white monkey camouflages into the background, made just visible by the slight shadows cast by flocking. Cheeky Monkey Taupe perfectly combines a fun distinctive design with subtle cool.